Innovative Technology: Expand Business With Data & Analytics – Synivate, Inc. Sometimes inspiration comes in the most unusual places. 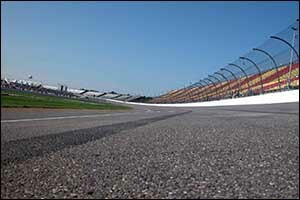 NASCAR, the extremely popular auto racing league, has inspired the tech and internet-based industries for years. The powerful marketing ideas that have come from merely observing this racing giant have helped small home-based businesses expand their own reach and become household brands. NASCAR has an excellent ability to evolve and change to meet the interests and demands of its fan base. With a diverse demographic of racing fans tuning in every week, it’s no wonder innovative technology solutions are at work behind their success. What are you doing with your data? Most businesses collect vast amounts of data from their customers from online sales, contacts, and other communications. They also receive data from in-store sales and consumer reviews of their products, customer service, and many other areas of their business. Cloud managed networks and intuitive Boston data protection is used to safeguard customer data and information from would-be hackers and other nefarious entities, but they can also be used to help you aggregate that data and use it to your benefit with comprehensive analytics. The more you can do to gain insight into the positive and negative experiences of your customers, along with their interests in whatever it is that your company has to offer, the easier it will be to grow your business. When you look at the data, you will be able to identify areas that could be improved, along with other areas that are well-received by your target demographic. Learning about your customers and figuring out what they want, how they want it, and what you can do to increase conversions should be your primary goal. Being able to use the consumer data that has been collected through your website and sales software programs to your advantage is a really big deal. Synivate can help you achieve your goals with hosted applications, cloud managed networks, backup solutions, innovative technology solutions, and dependable IT services and support. Our specialty is in IT systems design, implementation, and support, which can be used to help grow your business and expand your reach. When you work with Synivate for the development, monitoring, and management of your IT environment, you gain a partner in your endeavors. Our Greater Boston data protection services and IT management opportunities are custom designed based on your unique requirements and expectations. We believe strongly that there is no such thing as a one-size-fits-all approach to IT solutions for business. We will work with you and your staff to learn everything we can about your business so we can find the best possible way to serve your IT requirements and provide you with the tools you need to succeed. Whether you require improved security for your essential data, integrated cloud managed networks, or disaster recovery solutions, our team of technicians and professional consultants can help. We will create a custom strategy that is designed just for you to help you achieve your goals. Our technicians have many years of training and experience working with small, mid-sized, and large corporations to provide them with solutions for just about any type of situation. We can provide services and support for establishing security compliance to meet government regulations or create plans for business continuity. We can show you how to use your collected consumer data to help grow your business and how to protect that data by developing backup strategies and IT disaster recovery plans. You don’t need to know what type of services will help your business the best: that’s our job! We can help you identify the areas that require the most help and offer innovative technology solutions that will make it easy to stay on top of everything from security to software management and everything in between. Contact our team by calling 617-517-0704 to schedule a FREE consultation or use our online checklist to download a FREE IT Assessment. This can help you to figure out the steps you need to take to make marked improvements within your current business model so you can make changes that will take you into the future. Call today and let Synivate show you what our innovative IT solutions for business can do for you!